girl-e glasgow: It's hump day - treat yo' self! Designer heaven Saks Fifth Avenue is offering their 25% friends and family discount. Click on the banner to get the discount. All rucksacks at Accessorize are only £29 until Sunday. This one is super cute, no? My-Wardrobe's mid season sale has begun - no code necessary. It pays to shop early with this sale, as various sizes sell out quickly. 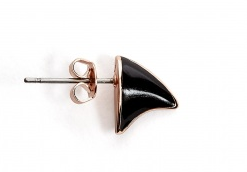 I love these DJ by Dominic Jones rose gold and enamel thorn studs. ASOS's sale is ongoing. Some really good discounts there. 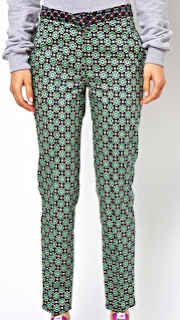 These adorable trousers were £40 and are now £28. And the White Company's mid season sale has begun. Get snuggly sweaters and loungewear for up to 50% off.